When we were growing up, my sister and I always begged for one of our favorites – grilled cheese sandwiches! 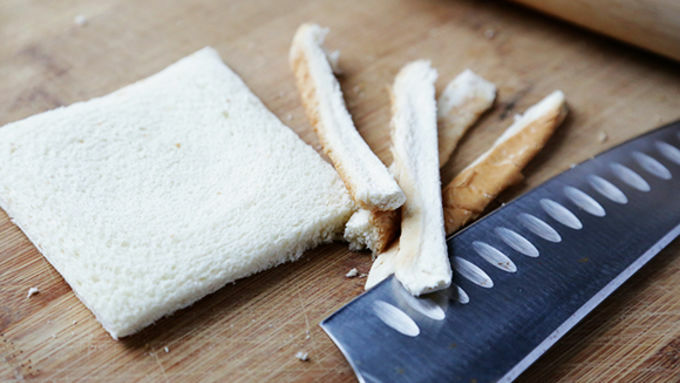 My mom would melt some butter on the stove, my little sister and I would unwrap the cheese, and together we would sandwich it between two crustless slices of bread (in the days when you actually had to cut the crusts off!). Then all of us would stand around the skillet as the sandwiches sizzled and cooked until the cheese just started to ooze over. Then my mom would send us to the table with our sandwiches and a bowl of tomato soup, and we would immediately dive in. For my mom, I’m sure it was a really convenient 10-minute meal. For my sis and me, it was heaven! 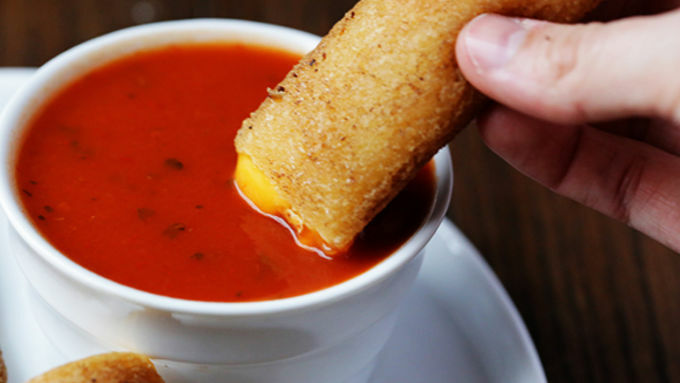 Well for those of you who love grilled cheese and tomato soup just as much as I do, you have to try this fun new take. 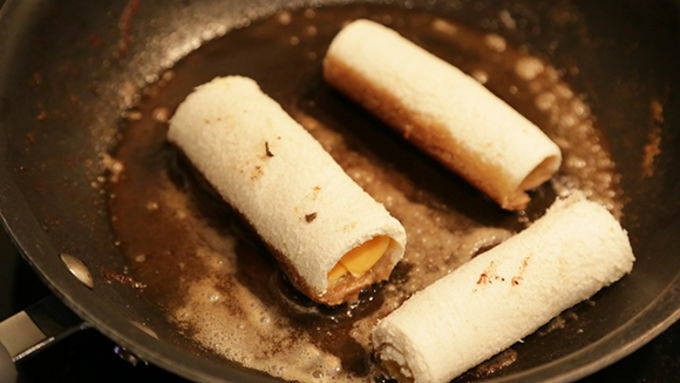 These are your typical grilled cheese sandwiches, just flattened out and formed into delicious little rolls that are even more perfect for dipping. SO GOOD. 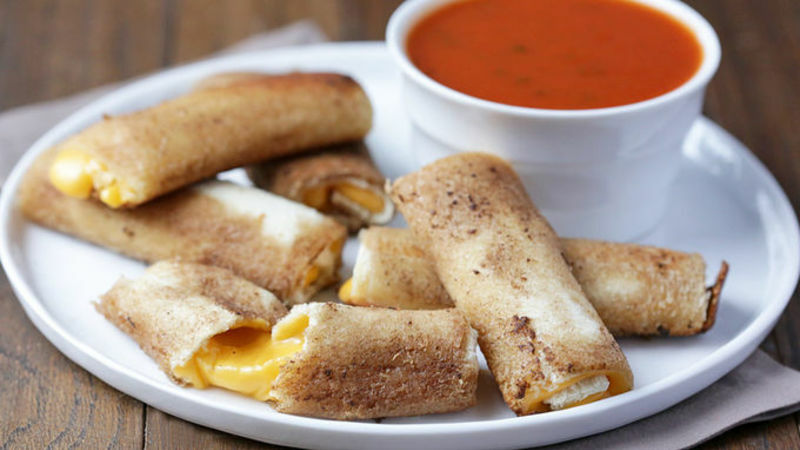 Dunk away!